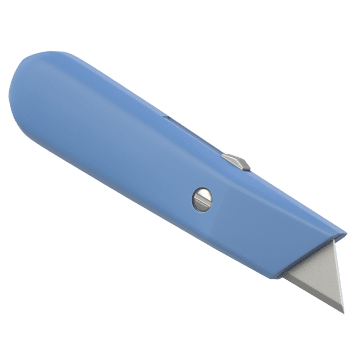 Featuring razor-sharp blades, these small knives can cut through a range of construction and packaging materials, including drywall, cardboard, fiberglass insulation, linoleum flooring, roofing tiles, rope, and plastic sheeting. 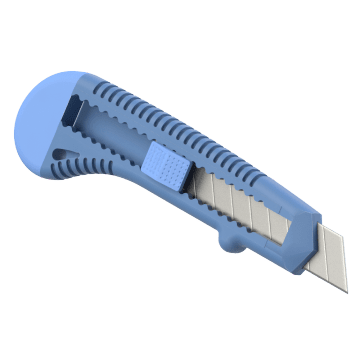 These compact knives have a retractable blade that can be adjusted to a range of cutting depths and stored in the knife handle to preserve the cutting edge and reduce risk of injury when not in use. A locking mechanism on the handle keeps the blade at the desired length during use. Commonly known as box cutters, these everyday knives can be used for cutting cardboard, tape, plastic film, twine, and similar materials. Perfect for carrying in a bag, tool kit, or pocket, these compact knives have one or more blades that fold into the handle when not in use. 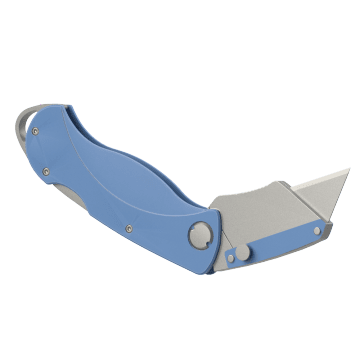 Also known as box cutters, folding utility knives are commonly used for cutting packaging materials such as paper, cloth, cardboard, tape, twine, or plastic film. To reveal a new, sharp cutting edge on these utility knives, snap off the tip of the blade and slide the button on the handle to advance the blade. 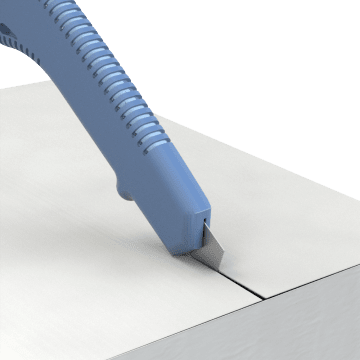 Perfect for a range of general-use applications where blades may dull quickly or become gummed up with adhesive, snap-off utility knives easily cut through materials like cardboard, tape, bubble wrap, and plastic film. The retractable blade stores inside the knife handle to help prevent accidental injury and keep the blade sharp during storage and transportation, and a locking mechanism stabilizes the blade during use. 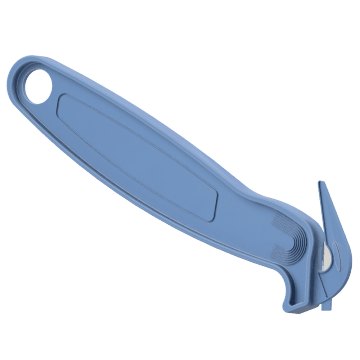 Quickly cut thin materials such as paper, light cardboard, stretch film, and plastic sheeting or sever small ropes and cables with these hooked safety cutters. The blade is recessed in the crook of the hook-shaped head to help prevent injury, protect the blade, and avoid errant cuts. Slip the material into the hook opening or punch the nose through the material and draw the knife back to cut it.